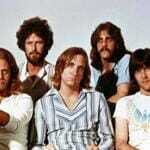 Learn how to play the songs by The Eagles note-for-note on guitar with The Eagles Guitar Lessons. Each lesson includes the playthru, video lesson, songsheet with chords and tab. The collection covers a wide-ranging set of Eagles songs. I’ve tried to go beyond the greatest hits and explore some of the less well-known but still wonderful acoustic tracks from their earlier career. All the songs teach at least the acoustic guitar rhythm part, so solo singer-guitarists will be able to learn them all and perform solo versions. But additionally, many of the songs include separate lessons on important second guitar parts like the guitar solos as well.